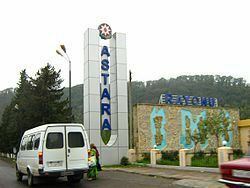 Astara is the southernmost rayon in southeastern Azerbaijan. Astara Rayon was established in 1930. In 1963, it was abolished as rayon and its territory incorporated into Lankaran Rayon and in 1965, its administrative rayon status was restored. Overall area of the rayon is 616.4 km2 (238.0 sq mi). Its population is 95,300 people. The rayon capital, Astara is a small picturesque Caspian port town, on the Azerbaijan-Iran border, capital of Azerbaijan's southernmost rayon. Coming southbound from Lankaran, there is a giant samovar by the road welcoming visitors to the rayon. 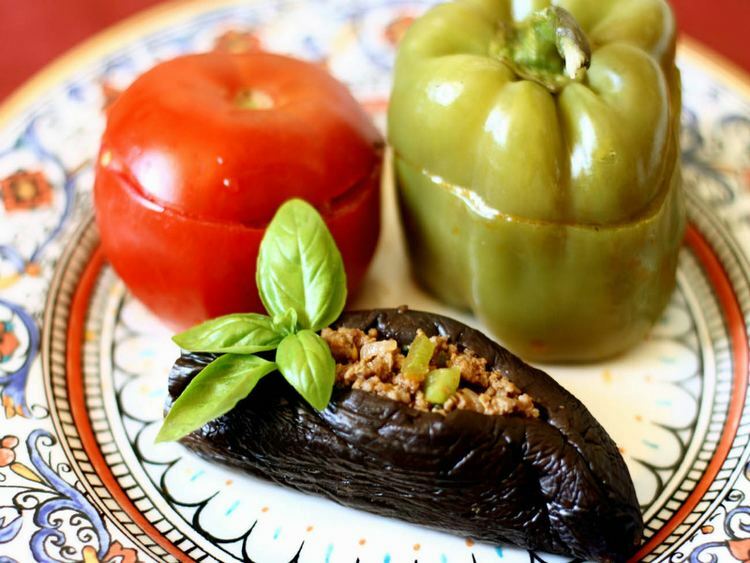 Astara rayon is very wooded with 37,000 ha (370 km2) of forests. Famous Juglans sigillata is a commonplace in Astara woods. Astarachay and Tangarud rivers that flow through the rayon start at Talysh Mountains which are in the western part of the rayon. Highest peaks are 200 m (660 ft) above sea level. The northeastern part of the rayon is lowlands. A part of the Hirkan National Park is located in Astara rayon. Istisu, Ağ körppü, Sım, Bi, Toradi, Şeyx Nəsrullah resorts of Astara have treating mineral water. Average temperature is -1.5◦ C - 4◦C in January,15-25◦C in July. Annual rainfall is 1200–1750 mm. There are two main theories for the etymology of the city's name. One is that it derived from the Persian or Talysh word آهسته رو (Aste-ro or Aheste-ro), meaning "the place where the travel gets slower" (given the marshlands that surrounded the region before). The oldest theory comes from Vedic songs and writings which explains Astara as a place where the rays of lights shine from behind to light the pathways ahead. There are over 400 historical and architectural monuments in the rayon, among them a tower in Şindan village often called Babek tower among the folk, ancient tower in Nudis village, Məşədi Abutalıb bath house, Hajı Teymur and Haji Jahanbakhish mosques in Pensər village, tomb in Şahağac village, Karbalayi Hamid Abdulla bath house in Ərçivan village. Ərçivan village is also rich with famous sulphur-rich springs, which if ignited lights up. In addition, ancient fortress gates, 7th century tomb, caravanserai, stone monuments pertaining to Stone and Bronze Ages in Qapıçıməhəllə village, ruins of 8th-century bridges in Sipiyəpart, Lomin və Pəlikəş villages are a major tourist attraction. Astara is a major source for Azerbaijan's fishing industry. Having a long coastline and inner access to rivers, the rayon has access to many types of marketable fish. It is an important transit point for all kinds of goods, as the numerous lorries at the border well illustrate. The pipeline coming from Abadan also enters Azerbaijan in Astara. The town has a border crossing into Iran, with the Iranian half of the town, also called Astara, on the other side of the river Astara. The Baku to Tehran bus stops in Astara.